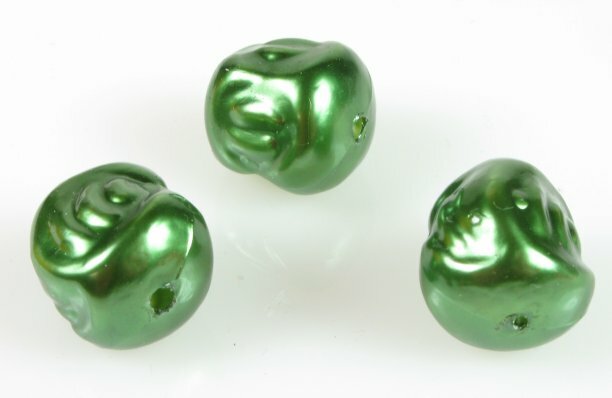 Hollow, pearlized baroque plastic beads. Made in Japan circa 1950's/1960's. Temporarily strung with 3 dozen beads per strand. One and one half gross minimum (6 strands) @ $24.00/gross.